Around one in 100 children has an Autism Spectrum Disorder. Boys are four times more likely than girls to be affected. There are over half a million people in the UK with an autism spectrum disorder – that’s around 1 in 100. People with Asperger syndrome come from all nationalities, cultures, social backgrounds and religions. However, the condition appears to be more common in males than females; the reason for this is unknown. There is strong evidence to suggest that there are more boys with ASCs (autism spectrum conditions) than girls. Brugha (2009) surveyed adults living in households throughout England, and found that 1.8% of males surveyed had an ASD, compared to 0.2% of females. For over 10 years I have specialised in the field of ASD – Autism Spectrum Disorders. I currently work with a specialist Asperger Syndrome Service. In the past I have worked with both the NHS and The National Autistic Society. 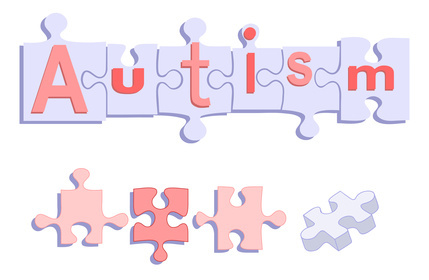 What to look for – The symptoms of autistic spectrum disorders. Symptoms may become apparent during the first few years of life. In many cases the symptoms come to light once a child has started school. Some have great difficulties in learning with varying levels of intelligence and I.Q levels. In both adults and Adolescents the signs vary greatly but there are some core identifiers. common phrases and sayings; an example might be the phrase ‘It’s cool’, which people often say when they think that something is good, but strictly speaking, means that it’s a bit cold. There are a range of specialist education, therapeutic and behavioural interventions that can help with improving skills and development. Often my intervention and therapy works in conjunction with other agencies and health professionals. Get in touch by completing this form or call me in confidence on 07830 302 907 to find out how my therapy services can help with Autism Spectrum Disorders.